At the time of writing this, we’re witnessing the very first signs of spring. It’s early March, and a mild spell of weather has made everything happen sooner than expected. Each year mother nature decides exactly when the season starts and ends but one thing you can be sure about is that summer will roll around before you know it! 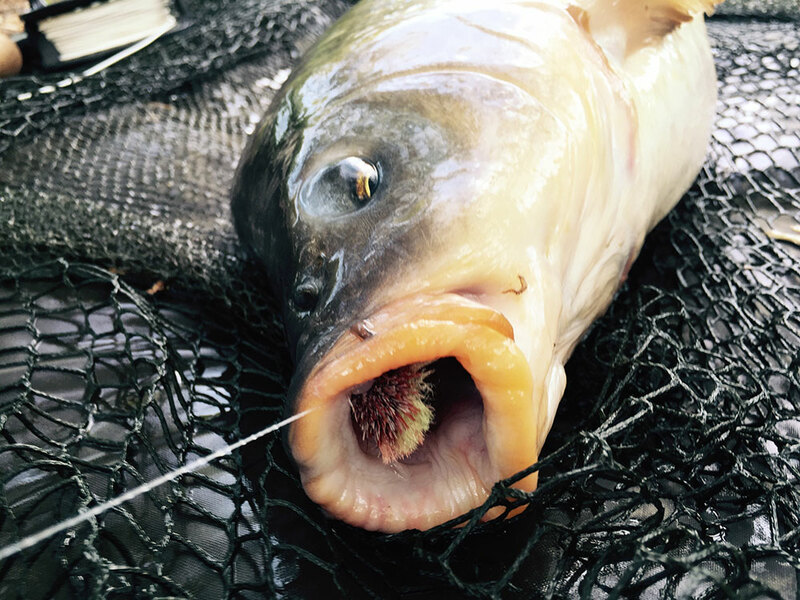 In the warmer months, the carp become much more active and are often completely visible in the upper layers. In this situation, I find them very hard to ignore and adopt one of my favourite methods – surface fishing for carp! Certainly not a small fish method – A big 40+ common taken on a short session off the top! There are several approaches that you can take when surface fishing. The method that I decide to use will largely depend on a few factors. How much time do I have? What’s actually happening in front of me? How well stocked is the lake I’m on? What are the conditions like? Here I will cover a some of the methods I have adopted and the successes I’ve had using them. I can’t really start without mentioning one of the most critical elements to surface fishing – wearing a decent pair of polarised glasses and a cap. By wearing these items will you be able to find and watch your target properly. I also suggest that you wear clothes that help you blend into the surroundings. I’ve mentioned in other articles that I’m often fishing with a limited amount of time, stalking carp is the perfect method in this situation. You’re not trying to get something going with lots of bait. You’ve not got time for the bait and wait game. The aim of stalking is to find the fish and simply try to catch one – you are fishing for a single bite! You don’t need lots of tackle, and you don’t need lots of bait, so it’s perfect for the opportunist angler. A nice 35lb+ common which took the bait just a few feet from the bank – while I crouched behind some reed stems. When stalking you need to think like a hunter. You need to creep up on your target by hiding behind trees, reeds and bushes – you are still, quiet, trying not to be there. It’s incredible how close the fish will come when they don’t know that you’re there! My suggestion is then to simply just watch the fish. Consider their movements, the path they’re taking and then start to throw in a few free offerings. Just a few initially and then patiently wait to see how they respond. Gradually introduce a few more but only enough to gain a bit of confidence. A known fish called Elvis. A 35lb+ mirror from Walthamstow taken with a few others on a day session in summer. Note the cap and polarised glasses. Once they are taking confidently, then it’s time to place a hookbait. If possible, my first choice would be to freeline a trimmed down pop-up on a very short hair. I use a pop up that’s a similar colour to the free offerings which are usually beige or slightly darker. I opt for 10lb – 12lb Korda Kruiser Control as a leader of about 6ft – 8ft in length. This is tied grinner to grinner style to 15lb mainline. It’s essential to use a floating mainline that’s not a heavy sinking line that pulls everything down into the water. I have dedicated reels and spools for floater fishing because the line on my main reels do the complete opposite. When fishing on the bottom I want my line to sink like a brick! Stalking carp with floating crust sounds very old school but it’s still a fantastic method when fishing rivers. Bread is a great floating bait, partly because the fish are more accustomed to seeing it as people often feed the ducks and swans. You can wander or ride a bike along the river and apply the same method once you’ve found a few fish. I may still feed with a few mixers but tend to use bread on the hook – and a larger hook too, a size 4 with at least 12lb line because rivers on average are more snaggy. A beautiful dark, fully scaled carp stalked from the River Lea. Introducing lots of mixers is a killer method on lakes that have a good stock of fish. You need to create a mass feeding situation where the fish are competing with each other. The technique involves introducing mixers using the spomb and lots of them. It’s not unusual for me to go through 10kg of mixers, more if there’s a lot of bird life. The mixers are introduced using a spod rod with a medium or large sized spomb. Another tip is to cover your mixers in hemp oil. The oil flattens the surface and helps you see what’s going on at range. It also acts as an additional attraction to pull the fish up to your free offerings. 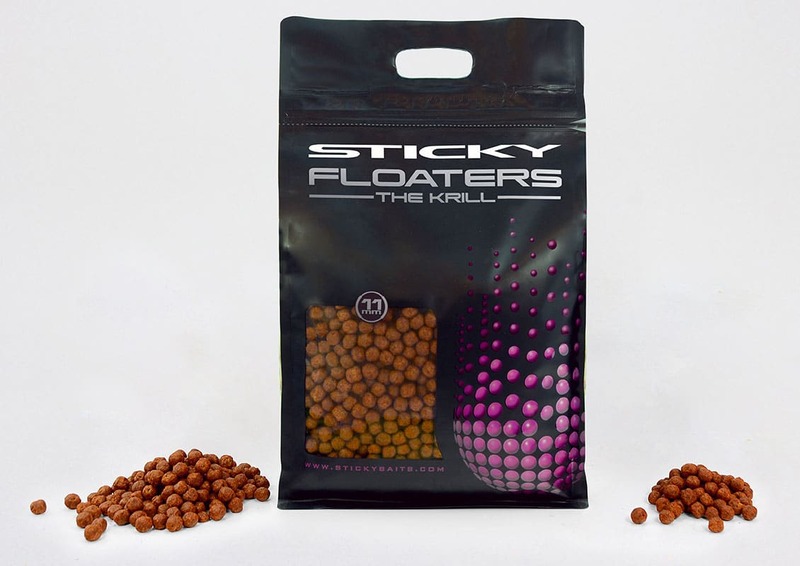 Mixers are the obvious choice but I’ve also had some decent results mixing these with Sticky Floaters. I always take a couple of loafs of bread too which is used to keep the birdlife happy in the margins and away from my fishing spot. All the bits I need for my floater rod set up. The first thing I do is tie a small loop in my 12lb Kruiser Control hook length. I mount a trimmed down boilie onto this and tie on a size 10 or 8 Mixa hook and ensure the hook is very tight to the bait via a short hair. The hook length I use is surprisingly short. We have been educated to make the hook length really long when floater fishing but typically I do the opposite. I use a Nash Bolt Machine controller, and I want a short hook length of around 2 foot to make sure the bolt takes effect. Once you have the fish in a feeding frenzy, I do not think the controller spooks them (or the spomb for that matter). A stunning upper 20 linear mirror, after feeding mixers on mass. I want to spomb to the same spot, so I wrap this around some distance sticks. I cast passed the spombed mixers with my hookbait and slowly reel it back to settle amongst the free offerings. Often the fish hooks itself thanks to the bolt machine and the short hook length. You need to be patient when feeding initially. Sometimes it has taken me 45 mins to an hour before they start feeding with enough vigor to start actually fishing for them. Fly fishing is actually an excellent method for surface fishing for carp. It’s a great way to get a freelined surface bait out that little bit further. It’s not just a gimmick, it actually makes a lot of sense. You can very delicately drop a freelined bait onto the water. 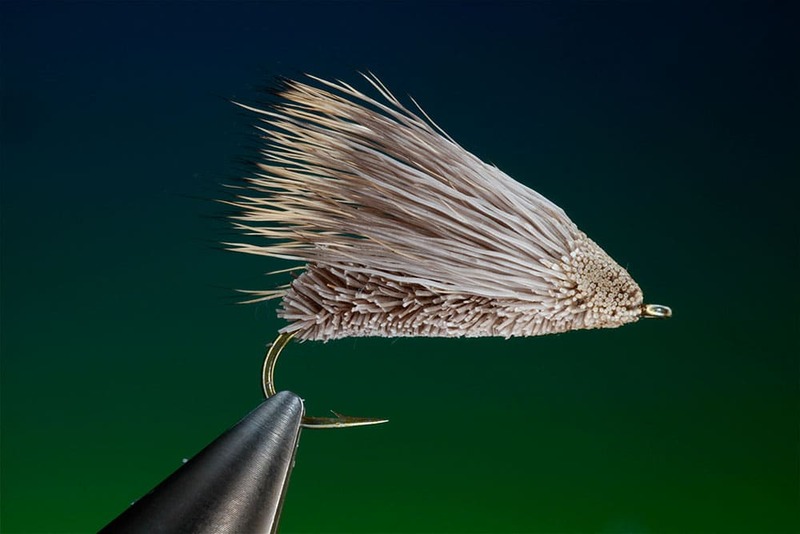 You can control the flies direction in the air and place it near fish quite gently. I’ve done a fair amount of fly fishing for trout and pike – which obviously helps here. A nice mirror caught on a fly rod – great fun! Consider that coarse fishing lakes are not like trout lakes. We have lots of trees, low hanging branches and bushes that often impede casting. The lakes I’ve tried this on have at least a few swims where I can cast a fly effectively. You need plenty of space behind you to perform a reasonable cast. Again the key is to feed the fish and build their confidence. Once again, I use a 6 – 8ft Kruiser Control leader and have a very high quality floating fly line on the reel. The rod I use is a 9 weight fly rod – which is actually quite a heavy for a fly rod. It’s like playing a fish on spaghetti when you hook one! It bends double as makes even small fish feel huge. It’s a lot of fun! Absolutely nailed on a fly! Hopefully, you’ve enjoyed this article. Many carp anglers agree that surface fishing is one of the most exciting ways that you can catch carp – it’s so visual. Try and learn to enjoy the near misses too, don’t get frustrated. Often if you stick at it one will eventually slip up. They won’t always climb up the line, but then that would be boring anyway right? Enjoy your fishing!